NASA is looking for ways to reduce the cost of sending humans to Mars. Their study explores dramatically cutting the cost of a human expedition to Mars by putting the astronauts into a deep sleep called “torpor” that would use existing medical procedures to reduce astronauts’ metabolic functions. Torpor can also occur naturally in cases of hypothermia. Blended with intravenous feeding, a crew could be in a state of hibernation for the transit to Mars, which at best would be 180 days each-way. Check out Discovery News for more details. Are Robot Cemeteries In Our Future? 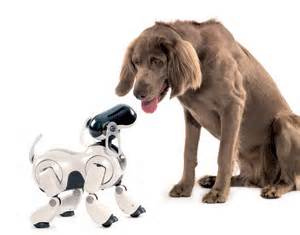 This is a good article on EETimes about the emotional attachment that can happen in the family between their robotic pet and the risks we face as those mechanical loved-ones age over time. Also covers pitfalls in our lives when a machine becomes human. 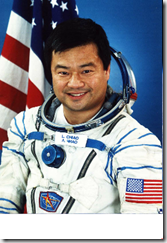 In a short Q&A interview with Forbes Magazine, Chinese-American astronaut Leroy Chiao advocates embracing China, rather than shunning it, in the new space race to Mars . He also talks about the recent spying charges USA and China are batting back and forth and what that should mean wrt better cooperation in space. Leroy also touches on the current Russia/USA relations and gives a little insight into the impact it’s having on the shared space exploration efforts onboard the International Space Station. I totally agree with Leroy on the China+USA collaboration to get to Mars. We’re both highly motivated countries regarding space exploration. China in particular may be willing to foot more of the $$$/RMB cost if there’s more sharing of technology between us. I think we stand a better chance of pulling off this huge effort working together, rather than in isolation. Head on over to Forbes for the interview. Check out Leroy’s personal site with videos he’s appeared in, links to his op-eds and more. 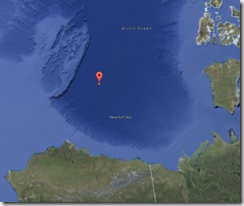 As the climate warms and sea ice retreats, the North is changing. An ice-covered expanse now has a season of increasingly open water that is predicted to extend across the whole Arctic Ocean before the middle of this century. Storms thus have the potential to create Arctic swell – huge waves that could add a new and unpredictable element to the region. Jane Austin, a game theorist? Oh yes, apparently she was exhibiting in her stories some of the traits we value in game theory today…and this is 100+ years before the concept became science. The Freaknomics podcast talks to Michael Chwe. The literature in question? The novels of Jane Austen . Chwe discovered that Austen’s novels are full of strategic thinking, decision analysis, and other tools that would later come to be prized by game theorists like those as the RAND Corporation just after World War II. Black death was not spread by rat fleas, say researchers. Evidence from skulls in east London shows plague had to have been airborne to spread so quickly. 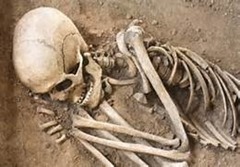 This week, Don Walker, an osteologist with the Museum of London, outlined the biography of one man whose ancient bones were found by construction workers under London’s Charterhouse Square: He was breast-fed as a baby, moved to London from another part of England, had bad tooth decay in childhood, grew up to work as a laborer, and died in early adulthood from the bubonic plague that ravaged Europe in the 14th century. 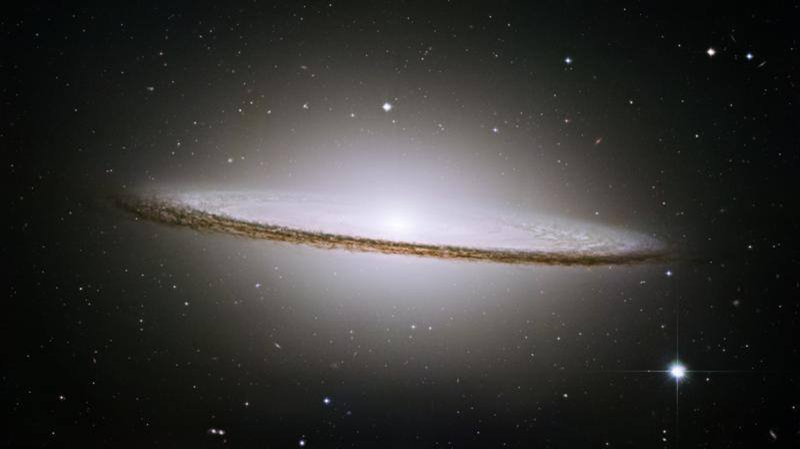 This snap shows the Majestic Sombrero Galaxy, it’s my favorite galaxy out of the hundreds of billions out there. A brilliant white core is encircled by thick dust lanes in this spiral galaxy, seen edge-on in this view. The galaxy is 50,000 light-years across and 28 million light years from Earth. Do you think there’s someone over there looking back at us? 🙂 Visit the SETI Institute to learn more on that subject. An extremely well-preserved baby dinosaur skeleton has been discovered in Dinosaur Provincial Park in Alberta. The fossil is extremely rare. Top 100 academic papers in 2013 that generated the most buzz. Shanghai’s Fudan University scientists have created an affordable and efficient one-watt light bulb that produces its own Wi-Fi signal. Scientists found that the prototype that uses a technology called Li-Fi, works faster than the average connection in China. 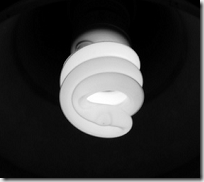 The Li-Fi bulb featuring a microchip generates around 150 mbps, 20 times faster than average broadband connection in China. From a Florida State University article – Research shows Albert Einstein’s brain had more extensive connections than other men. The left and right hemispheres of Albert Einstein’s brain were unusually well connected to each other and may have contributed to his brilliance, according to a new study conducted in part by Florida State University evolutionary anthropologist Dean Falk. The study, “The Corpus Callosum of Albert Einstein’s Brain: Another Clue to His High Intelligence,” was published in the journal Brain. Unfortunately, an account is needed to access the full study, but you can read the extract here. The University of Vermont is opening up it’s Evolutionary Robotics course to the public. This is the Ludobots course which has an interesting method of student learning and participation requirements before being able to join in the bigger initiatives of the course, this is called the Discovery Track which you can learn more about in this video. The video outlines the 10 levels of work and participation with other students before becoming a ‘scientist’ asking and researching bigger questions in the robotics field. There’s lot of coding opportunities, lots and lots of tutorial videos, you can also view the syllabus + assignments and much more. The prerequisites for the Ludobots course requires nothing more than a beginner’s background in programming. While the assignments may take longer depending on your experience level, we believe that the step-by-step progression each assignment has makes it accessible enough to a wide variety of people. The course works with a ranking system. At the first rank you just submit an assignment; if you receive a passing grade you move on to the second rank. At every rank beyond the first you must grade an assignment that you have already done, using a rubric on each assignment page, and receive a passing grade on that rank’s assignment. Once you have received a passing grade on each assignment you can work on evolutionary robotics research with us. Essentially the ranking system is in place to make sure that contributors to our research can be trusted. 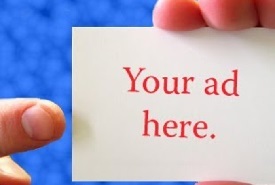 If your contribution is validated by others — or you provide a sufficiently interesting hypothesis of your own that others pursue — we will include you as a co-author and all write up a research paper together. The ludobots site is an experiment for us as well: we’ve never tried this before, so we’re very eager to see the results! How would you like to create your own laboratory at home to monitor the sun and report your findings for science? It’s time to conduct your own investigations of the Sun. Find out place in the solar cycle. Predict future solar storms. Develop your own research project. You can do all this through the Sun Lab, a citizen science program you can do at home. – Get educated here at this PBS site on Sun Research and why we care. 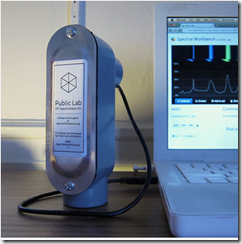 – Build your own Desktop Spectrometry Kit for $40US (pic below). The Public Lab Desktop Spectrometry Kit includes all the parts for a compact, simple, yet powerful experimental tool — a visible/near-infrared spectrometer, also known as a spectroscope or spectrophotometer. In the last few years, 1 in 3 bee colonies have died off. This is a problem for the world’s agriculture because it depends on bees to pollinate their crops. There’s been a lot of finger pointing as to the cause, but here’s some action that is trying to stave off the problem through science by creating sort of a sperm bank..
Samsung tests 5G technology – But What Does It All Mean? All the news and technology websites have been abuzz for the past few days with news that Samsung has been testing out new 5G mobile broadband communications which are capable of speeds hundreds of times faster than current download and browsing speeds offered by 3G and even the new 4G. But what will this powerful new era of mobile broadband mean for consumers? We’ve taken some time to demystify and explain all the hype surrounding this new 5G phenomenon, and give you some stats about how it works, when it will be available, and what we can use in the meantime. 5G generally stands for the 5th generation of mobile communication standards (just as 3G meant 3rd generation) While Samsung had been calling this new communications standard ‘5G’, it’s not actually a defined set of standards just yet like 3G or 4G, but rather just a general name or concept for the technology that will inevitably succeed 4G in the not so distant future. It will still be some time before there is a uniform set of standards and minimum and maximum download speeds established for 5G. What speeds is it capable of? In its trials, Samsung reported that it transmitted data of just over 1gb per second, potentially meaning that watching and downloading high-quality and 3D movies, whole TV series, games and other huge data files in a matter of seconds will soon become the norm. Compare this to 3G, which is capable of maximum speeds of up to 7.2Mb per second (although user testing unfortunately often finds that the average speed is much, much lower than this), and 4G, at a maximum of 8-12Mb per second. So, 5G is definitely a huge leap and a jump forward in terms of speed. 5G also has potential benefits for things like remote medical services, allowing rural doctors to communicate with each other and patients much more quickly and efficiently than before. So – how has Samsung managed to achieve these huge speeds? New towers? General network upgrades? A little of both. Samsung announced that it has developed “the world’s first adaptive array transceiver technology operating in the millimeter-wave Ka bands for cellular communications”. But what does this mean, exactly – Samsung summarizes things nicely for us, stating that “the implementation of a high-speed 5G cellular network requires a broad band of frequencies, much like an increased water flow requires a wider pipe” – so essentially, their new towers allow for a higher range of frequencies to be utilized when transmitting data. Sadly, 5G network capabilities aren’t expected to be available to regular internet and mobile subscribers like us until at least 2020, when Samsung is planning to commercialize the technology. Even after that, it will probably still take some time for full roll outs to be completed, and for local carriers to start offering it to their customers. But with the impressive capabilities and speeds which are already being explored, we think it will be well worth the wait! What’s available in the meantime? While this all sounds very exciting, 5G is still very much in the initial testing stages. In the meantime, phone and internet networks are still busy working on rolling out the latest in 4G technology. 4G enable devices are already available at plenty of trusted retailers such as The Good Guys, so be sure to speak to a tech expert about what kind of network speeds your particular handset can achieve, based on your phone network carrier. What do you think of Samsung’s latest 5G network trials? Do you think there’s any we’ll see it become available any sooner than 2020 as more companies start trialing the new technology? Read SciTechDaily for details and analysis of the paper described below. While American defense companies may not be in the jewelry business, defense sector giants like Raytheon are certainly exploring the potential of this quintessential gem for defense applications. Researchers have known for a while that dung beetles use the sun, the moon or other light source to navigate. Once the beetle acquires a dung ball from the poop pile they want to get away with their “loot” asap to prevent the competition taking it away. And they use a light source to help ensure they navigate in a straight line to prevent circling back to the original poop source and run into the competition. Researchers from Wits University placed the beetles in a planetarium and clearly observed behavior showing the beetle can use the milky way’s band of light as an alternate light source when all other good sources are not available. Read this fascinating article over at PlanetSave for the full details. General Motors is giving its Chevrolet Spark a jolt of electricity. An all-electric version of the mini-car will debut this week at the Los Angeles Auto Show. It goes on sale this summer in California, Oregon, Canada and South Korea, where it’s made. Other markets will follow. It will cost less than $25,000 in the U.S., be shorter in length than the Fiat 500 and get 76miles per charge. Associated Press has the full details. While Hurricane Sandy caused significant destruction, sometimes there is interesting fallout, or a positive byproduct of the maelstrom. 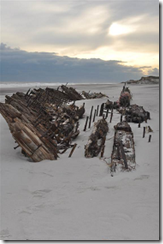 For example, a 90 year old schooner that shipwrecked on one of Long Island’s barrier islands has been exposed once again. I’m sure historians will be going over this wreck carefully to learn more about the period and the vessel. Get the full story from MSNBC.